If you happen to stay in St. Petersburg during the summer, you should definitely pay a visit to Terrassa. The menu is extensive and diverse but truth be told: the real reason you go to Terrassa is to enjoy one of the city’s best views. 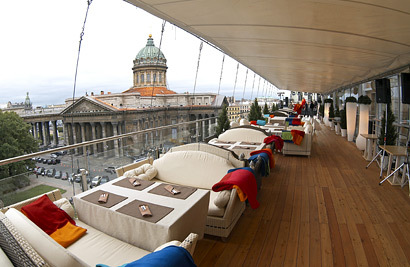 The restaurant is located on the top floor of the tallest building in the historical center and from the outside terrace you can see the Kazansky cathedral and the famous Nevski Prospekt street. The interior is modern and bright and because of the open kitchen you might just be able to catch a glimpse of head chef Alexander Belkovich, who started here at only 21 years old. With great enthusiasm he prepares interesting dishes ranging from Italian to Asian cuisine. 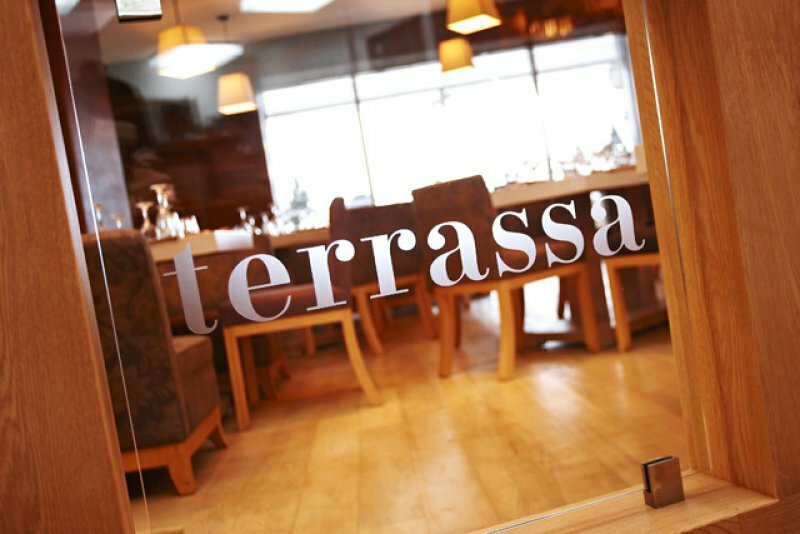 Reservations are a must at Terrassa. Be sure to indicate that you want to be seated outside with views of the cathedral; you will not be disappointed!